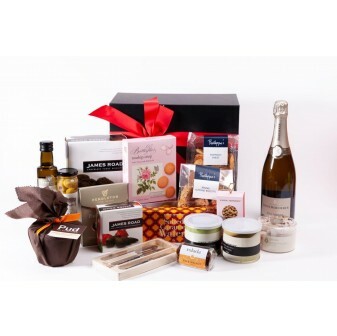 Celebrate the festive season with nothing but the best treats and sweets. 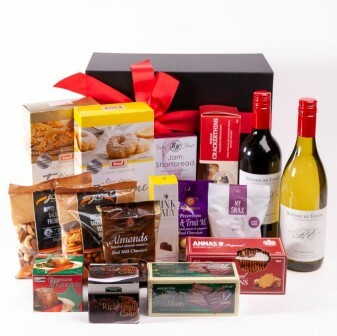 The Hamper Store by Present Company Included offers Australians the chance to have the Christmas they’ve always dreamed of. 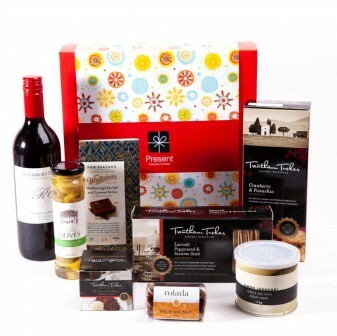 Shipped direct from our Melbourne store, our Xmas hampers are the perfect way to cap off a fantastic day. Whether you’re looking for something to complete the appetiser like marinated green olives, zaatar and an Asian-spiced nut mix, or want to enjoy a dessert of superb bubbly and handmade fruit cake, we have all you need to round off each and any course. For every meal of the day, for every tipple, we'll make your taste buds swirl. Looking for an impeccable sparkling as an aperitif, an exceptional red wine to go with ham, or a lush sticky wine for dessert? 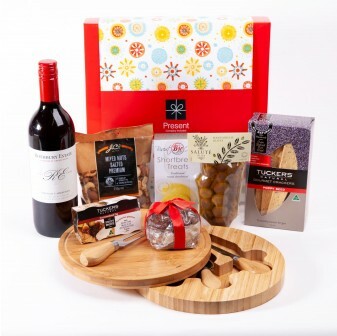 Browse our selection of Australian and international wine hampers and enjoy an exquisite drop this holiday season. 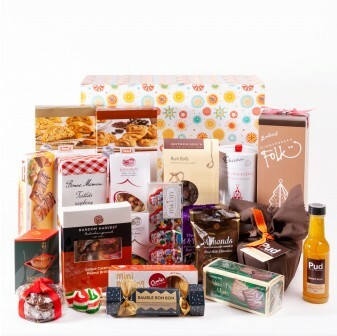 With old favourites like pudding sitting alongside some more daring holiday choices like a hamper inspired by Abla Amad’s Lebanese Kitchen, there’s a Xmas hamper for every family Christmas gathering. Whatever your festive needs, we can help your family and friends celebrate in style. We don’t just have the holiday season covered. 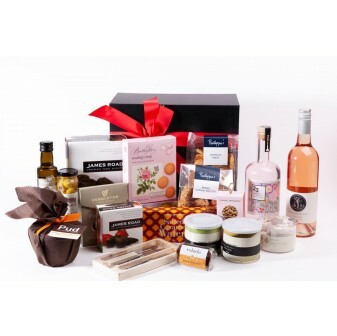 There’s a hamper for every occasion worth celebrating - Birthdays, Weddings, Baby Showers, Anniversaries, Promotions and more. 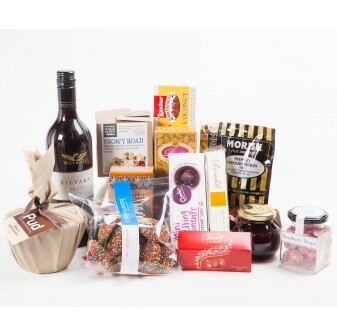 Browse our range of gourmet hampers and you're guaranteed to impress the most discerning foodie. 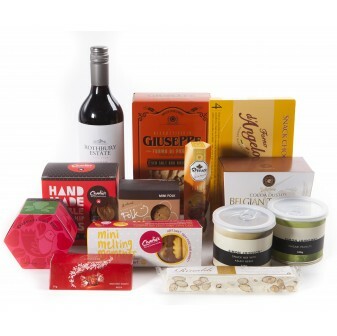 With packages inspired by well-known chefs and packed full of qualityingredients to broaden their repertoire, they’re sure to love it. 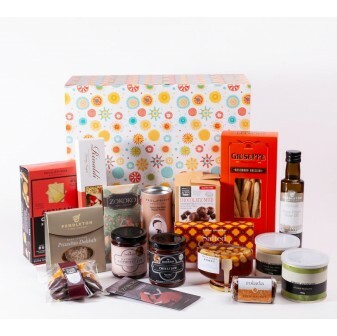 Shopping for someone with a sweet-tooth? We have chocoholics figured out. Browse our range of cacao-infused chocolate hampers featuring everything from Lindt balls all the way to exquisite bean-to-bar creations. 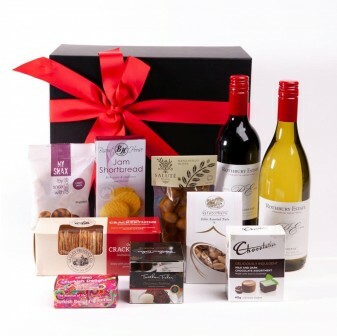 Order online today, or call our Melbourne store for more information on our hampers on (03) 9387 4717. 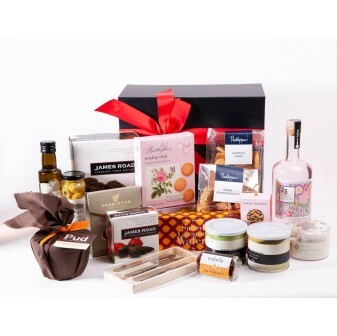 We have gifts for every kind of person, just take a look.